The Cermetek LeafMon sensor suite provides the grower with a physical measurement of water stress in a vine, tree or plant. The water stress information allows the knowledgeable grower to execute his precision irrigation plans including strategic deficit irrigation. Two LeafMon crop water stress instruments are available. Both provide the Grower with the Crop Water Stress Index, CWSI. The standard LeafMon provides the data through an AquaMon sensor node and the Cermetek RSVP web server. The LeafMon-S passes the Crop Water Stress Index through an SDI-12 interface to any data collection system. LeafMon calculates a Crop Water Stress Index value from environmental measurements from a group of sensors embedded in the LeafMon. Crop Water Stress Index values range from 0 to 1 with zero reflecting a plant with its stomata fully open and a one showing a plant with the stomata fully closed. The Crop Water Stress index gets to the grower from the standard LeafMon thanks to Cermetek’s RSVP (Remote Sensor Viewing Platform). LeafMon connects to the AquaMon Internet based agricultural monitor and control system. 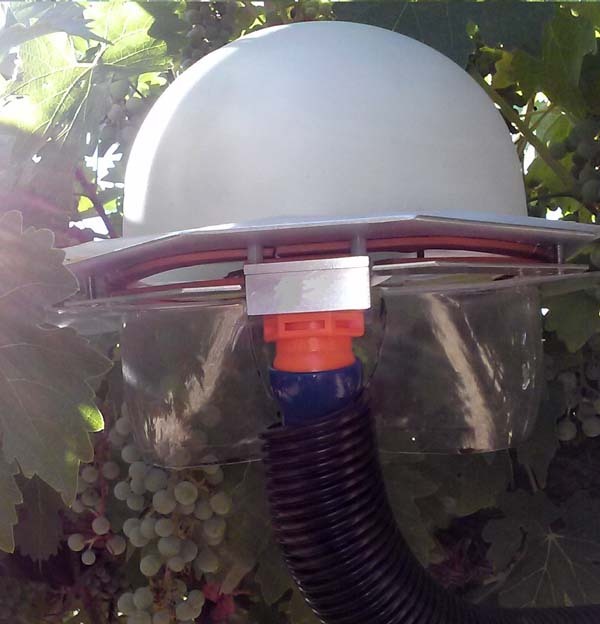 The AquaMon system gathers the sensor data from the LeafMon and passes to the web server. Once loaded into the server data base, RSVP uses the sensor data to calculate the Crop Water Stress Index of the plant. While LeafMon reports Crop Water Stress Index, it includes multiple sensors. Five environmental sensors are embedded inside the LeafMon. These sensors measure ambient temperature, wind speed, photosynthetically active radiation, relative humidity and leaf surface temperature. These sensor values are then combined within the RSVP server code to calculate the Crop water Stress Index. Growers employ strategic deficit irrigation for many crops to improve quality, improve yields and fight disease. The traditional way to measure water stress in a plant is with a pressure chamber. 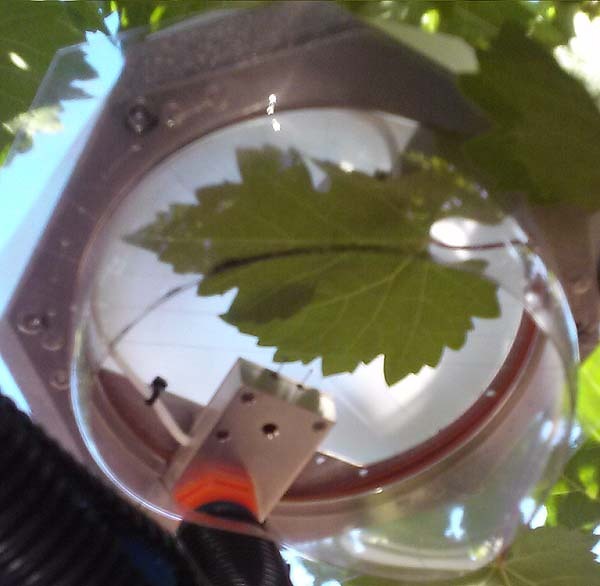 The pressure chamber measures Stem Water Potential in a leaf removed from the tree, vine or plant. Monitoring plant water stress for deficit irrigation with the pressure chamber requires daily trips to the field for a single data point. The validity of that pressure chamber data depends upon the consistent focus and skill of the operator. Because LeafMon reports water stress continuously and does not depend on an operator in the field, it allows more precise management of deficit irrigation. The grower irrigates his crop, checks the Crop Water Stress Index daily, and irrigates again when the Crop Water Stress index approaches the maximum acceptable level for that tree, plant, or vine. Whether the goal is reducing canopy growth in vineyards or avoiding hull rot in almond orchards, LeafMon contributes to effective strategic deficit irrigation.